Young has been named Entrepreneur of the Year, Business of the Year and Small Business Advocate of the Year. She is also certified in crisis PR. 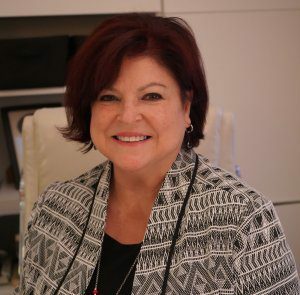 She founded Carriage Trade Public Relations® Inc. in 1995. 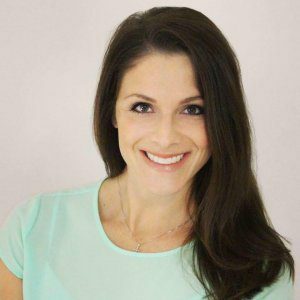 Her firm creates positive word-of-mouth for businesses in the community and online by using reputation management strategies. 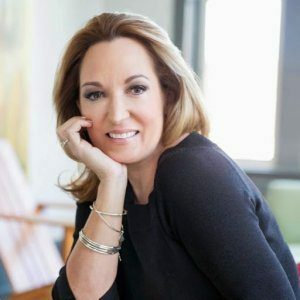 She is also the founder of the REPUTATION MATRIX™ method, which helps businesses create a year-long public relations plan. Marjorie will publish a book later this year. Formed in 1999, the Buy Local Savannahnow comprises over 150 businesses who call Savannah home. Their monthly meetings, which are open to the public, focus on the opportunities and issues inherent in running a locally based business. Carriage Trade Public Relations®, Inc.
(SAVANNAH, GA) Salacia Salts has partnered with the Will Gruver LLS All-Star Campaign for the month of April! Use the code ‘LLS2019’ to shop online at salaciasalts.com or at their retail location (208 West Hall Street Savannah), and 20% of your sale will be donated back to support the Leukemia & Lymphoma Society to find a cure for blood cancers. 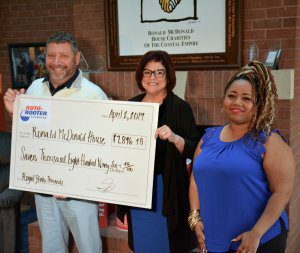 Bill Sorochak, Executive Director of the Ronald McDonald House of the Coastal Empire (left), accepts a $7,896.48 check presentation from Sherry Daniel, CEO of Roto-Rooter Plumbers of Savannah (center), and Shantina Ferguson-Waldburg, Operations Coordination Department Manager (right), from proceeds raised at the 2019 Royal Flush Casino Night. 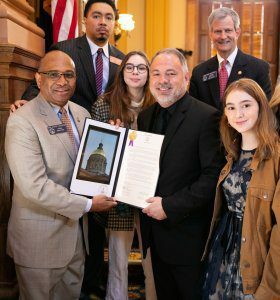 (Left to Right): State Sen. Lester Jackson, State Rep. Craig Gordon, Alayna Bowen, Charles ‘Bo’ Bowen, State Sen. Ben Watson and Alexandra Bowen. 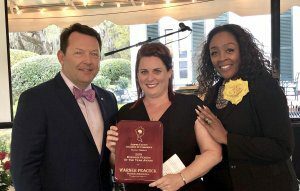 Caption: (LEFT TO RIGHT) Marty Sauls, President of Jasper County Chamber of Commerce; Jill Jauch, Marketing Director of Peacock Automotive; Sheree Darien, Jasper County Chamber of Commerce Board Member. (SAVANNAH, GA) The 7th Annual State of Small Business in Chatham County, presented by Best Business Brokersand Wells Fargo & Company, will be held Wednesday, May 8, at the Eckburg Auditorium at Savannah Technical College, 5717 White Bluff Road, Savannah, GA.
During the morning event, five area experts will present reports on measurable benchmarks relating to the health of Savannah’s small business community. The goal of State of Small Business is to have current and relevant information available about the local economy, to help the small business owner make informed decisions in strategic business planning. • Dean Burnette, managing broker at Best Business Brokers: Business Sales Trends. Following their presentations, the speakers will hold a round-table review to discuss the implications of the data and how it relates to small business owners. Michael Toma, director of the Center for Business Analytics and Economic Research at Georgia Southern, will join the discussion to help interpret available information. Doors open at 8 a.m. with refreshments available. Reports start at 8:30 a.m. and the roundtable will begin at 9:30. The event will end at 10 a.m.
During the event, there will also be displays from SCORE, UGA Small Business Development Center, and The Creative Coast, providing business resource materials. This event is free and open to the public but seats are limited. Registration is required through https://www.eventbrite.com/e/state-of-small-business-in-chatham-county-tickets-59453115870. This event is sponsored by Best Business Brokers, Wells Fargo & Company, Savannah SCORE, The Creative Coast, UGA Small Business Development Center, Savannah Entrepreneurial Center, Savannah Economic Development Authority, the city of Savannah, Small Business Assistance Corporation, Joe Marchese Construction, Carriage Trade Public Relations, Cecilia Russo Marketing, the Savannah Morning News, Richmond Hill Chamber of Commerceand the Savannah Area Chamber of Commerce. A PDF of all reports will be available on the Savannah SCOREwebsite, https://savannah.score.org/. The event will be livestreamed on Facebook from 8:30 a.m. to 9:30 a.m. on the Best Business Brokers, SCORE Savannahand Carriage Trade Public RelationsFacebook pages. Join the conversation by using the hashtag #SmallBizSav19. For more information, visit https://www.eventbrite.com/e/state-of-small-business-in-chatham-county-tickets-59453115870. 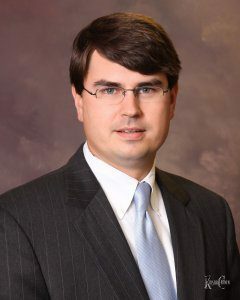 Best Business Brokers (B3) help people buy and sell businesses and commercial real estate in Georgia and South Carolina. The company is based in Savannah, Georgia. B3offers a variety of brokerage services, including confidential targeted marketing, potential buyers’ qualifications, showcasing, transaction negotiations, due diligence management, escrow process management, valuations and pricing, and closings. Their seasoned and award-winning business brokers are all licensed, commercial realtors. B3specializes in a multitude of industries, such as manufacturing-, technology- and logistics-related businesses and properties. Their headquarters is located at 6605 Abercorn St., Suite 101D, Savannah, GA 31405. For more information, visit http://B3Brokers.comor call 912-349-0940. Wells Fargo & Company(NYSE: WFC) is a diversified, community-based financial services company with $1.9 trillion in assets. Wells Fargo’s vision is to satisfy our customers’ financial needs and help them succeed financially. Founded in 1852 and headquartered in San Francisco, Wells Fargoprovides banking, investment and mortgage products and services, as well as consumer and commercial finance, through 7,800 locations, more than 13,000 ATMs, the internet (wellsfargo.com) and mobile banking, and has offices in 37 countries and territories to support customers who conduct business in the global economy. 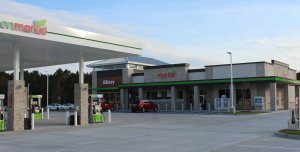 With approximately 259,000 team members, Wells Fargoserves one in three households in the United States. Wells Fargo & Companywas ranked No. 26 on Fortune’s 2018 rankings of America’s largest corporations. News, insights and perspectives from Wells Fargoare also available at Wells FargoStories. 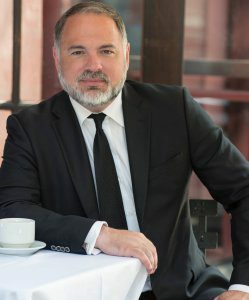 (SAVANNAH, GA) Chris Tilton, one of two principals at the Dewitt Tilton Groupcommercial construction firm, has launched a monthly podcast featuring local stories of inspiration, kindness and positivity, and the company will reward people who help find those stories with a $300 donation to the cause of the nominator’s choice. 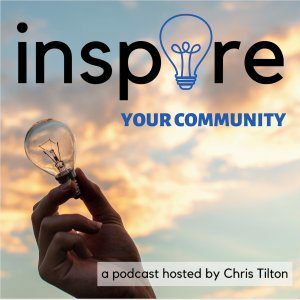 A small, heartwarming true story was the spark for “Inspire Your Community Podcast,” Tilton said. Such simple but true stories, Tilton thought, could inspire others to perform random acts of kindness or to act instead of complaining. His response is to launch a monthly podcast to tell true, inspiring stories suggested by members of the community. To encourage people to come forward with stories, the Dewitt Tilton Groupwill donate $300 to the cause of the successful nominator’s choice. The podcast can be accessed at YouTube, Apple Podcasts, Spotify, Google Play, Stitcher, and everywhere else podcasts can be found. View the first episode here, https://www.youtube.com/watch?v=1EgdS0dh9UY. For more information, contact the Dewitt Tilton Groupteam at dtg.inspire@gmail.com. So you want to be in pictures? Considering that Savannah is transforming into a thriving entry point for film and television careers, you are definitely in the right place. Until fairly recently, almost all roads leading to the film and television screen started in Los Angeles or New York City. Over the past decade, however, advances in technology and financial incentives like those the state of Georgia adopted in 2008 have expanded the industry far beyond California and New York. Georgia has been the primary beneficiary of this expansion with Atlanta topping the list of current filming locations and significantly-smaller Savannah coming in second. If you are interested in becoming a part of Georgia’s film industry, you should know one thing up front: no one starts at the top. The movie and television industry rewards experience and is merit-based. Anyone willing to work hard and maintain a positive attitude in the high-paced and stressful world of film production, however, will likely find themselves progressing quickly. Granted, experience is crucial to success in almost all professions, but it is especially true in the entertainment industry. When a production begins filming, hundreds of strangers come together to work intensely on a single project — often for months at a time — and then immediately move on to the next opportunity. There may be a few stories of overnight success, but for the most part, those individuals worked hard for 20 years to earn that “overnight” success. If you believe a career in movies might be a good fit, it is always a good idea to give your interests a thorough test drive. A great place to start is to work as an extra on one of the numerous productions in and around Savannah. Working as an extra largely consists of waiting around for hours for a few minutes of work as a background player with no lines and minimal pay. But it is a prime opportunity to watch what film professionals are doing. Does it look interesting? Can you cope with the rigid top-down management and stressful environment? Does the reality look as appealing in person as it did in your imagination? Casting calls are typically well covered in local media, thus finding an opportunity to work as an extra can be as simple as searching “casting in Savannah GA” on the internet. Casting calls are also often listed on the Savannah Regional Film Commission’s website, savannahfilm.org, or you can send a request to join www.facebook.com/groups/savannahextras. If you still feel drawn to invest in a film-related future after being on a set, Savannah has you covered. Thanks to Savannah Technical College, our city hosts one of the 12 campuses of the Georgia Film Academy. This unique partnership of the University System of Georgiaand the Technical College System of Georgiaprovides a certification program of 18 credit hours, complete with internship opportunities. Georgia Film Academystudents study a curriculum of on-set production, set construction and scenic painting, lighting and electric, grip and rigging, introduction to special makeup effects, post-production effects and, in the future, production accounting. At $89.00 per credit hour (plus fees) at the technical college level, you can complete the entire course of study in just two semesters for a very affordable price. This can be a worthy investment to help break into a field where the Georgia Film Academyestimates an average salary is $84,000.00 a year (not to mention retirement benefits and health insurance coverage). The required introductory course is currently on the schedule for Savannah Tech’s summer semester. These types of jobs are on the production crew. There is a tremendous need for local crew in Savannah and once you receive the requisite training and experience, work should be easy to find. If you are more interested in the creative side of the process (directors, screenwriters, actors, etc. ), there is still far more than just luck involved. Savannah has a number of successful theater groups where you can audition for local productions to help you explore whether acting may be for you. There are also quite a few acting classes and workshops taught locally to help you hone your skills. Savannah offers college and university resources for those careers, as well. You can pursue theatrical performance degree programs at Georgia Southern University’s Armstrong and Statesboro campuses as well as Savannah State University. Savannah College of Art and Designoffers programs in almost every spectrum of the creative side of the entertainment industry from highly-skilled and respected professionals. Most importantly, do not give up. Almost everyone enters the film industry slowly for little pay to learn firsthand what the entertainment world is all about while gaining practical skills and making all-important contacts prior to finding success. If you are willing to put in the time and effort, Savannah’s film production boom ensures the opportunity is there for the taking. 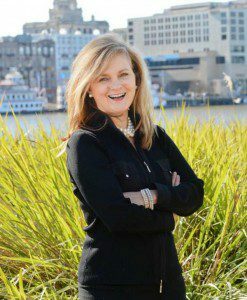 (SAVANNAH, GA) Cynthia Cradduck, a Savannah-based marketing and public relations professional, has been elected to the Georgia Jaycees’ state executive committee, where she will serve as Vice President of Communications. 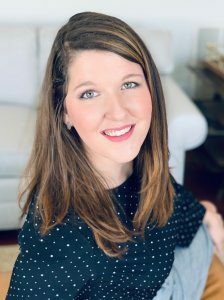 She is joined on the executive committee by Danielle Fields, President; Katie Harris, Vice President of Community Development; Allen Farley, Vice President of Membership and Chad Brown, Chairman of the Board. A graduate of Georgia Southern University, Cradduck was one of six students to earn L.E.A.P. certification, which recognizes public relations professionals who have gone through Leadership, Experience in Communication, Academics and Professionalism training. 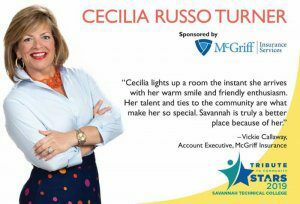 She also has completed professional training courses offered by the Dale Carnegieprogram and Toastmasters International. 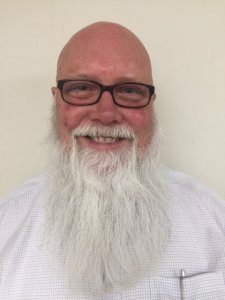 In addition, Cradduck serves as the administrator for Leadership Southeast Georgiaand supports several nonprofit organizations in Savannah, including the Ronald McDonald House of the Coastal Empireand Girls on the Run. 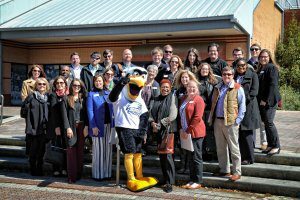 In her new role, Cradduck will be responsible for the Georgia Jaycees’ internal and external communications, including its newsletter, website, press announcements and communications among its chapters. 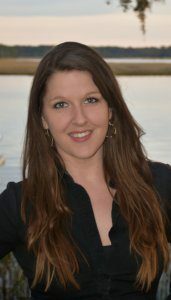 She will also be creating a chapter communications instruction guide which she will be presenting to the membership at their midyear convention. The Jayceesis a leadership development organization that focuses on community involvement. This year, the state board held a major fundraiser to help provide financial resources for Out of the Darkness, a non-profit focused on battling human trafficking. Jayceeschapters in Georgia include Athens, Atlanta, Columbus, Dahlonega, Gainesville, Gray, Milledgeville, Savannah, Statesboro, Swainsboro and Jesup. Leadership development through community service has been the basis of the Jayceessince its inception in 1920. 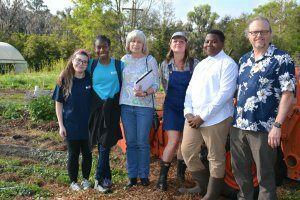 The mission of the not-for-profit organization is to provide development opportunities that empower young people ages 18-40 to create positive change. Members enhance a variety of leadership, management and communication skills as they work together to plan and run civic and individual development activities that bring about positive change in their home communities and through the world. To learn more about the Jaycees, visit www.georgiajaycees.comor http://www.jci.cc/usa. 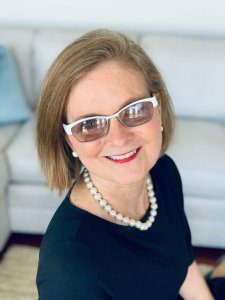 Marjorie Young, CEO of Carriage Trade Public Relations, Inc.
(Savannah, GA) What do you need to know to create a successful business? Whether you are an aspiring entrepreneur or a small business owner, you need real-world tools, knowledge and insights in order to succeed. The “Business Launchpad: How to Start, Manage, and Grow A Successful Business” workshop offers exactly that. This workshop will take place on Saturday, April 13th from 9:00am – 3:30pm at SCORE Savannah, 111 E. Liberty Street, Savannah. Registration is required. Seats are limited. Please call the Savannah SCORE office at 912-652-4335 or email us at scoresav70@gmail.com. The session fee is $69 ($39 for students) includes all workshop materials, lunch, beverages, and a flash drive with all workshop content.